Hope you are all having a fabulous weekend - the weather here has been absolutely gorgeous! 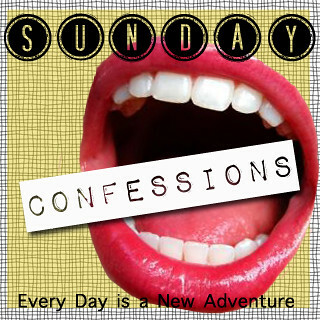 Anyway, grab a button and link on up, because today is Sunday, and that means that it's time for confessions!!! 1. I think peeling skin is so cool. Okay, I realize this sounds gross, but whenever I've had a sunburn and my skin is peeling, I seriously love peeling it off. I know, I'm a freak. 2. I fully intended to do a vacation post yesterday, but spent part of the day enjoying the weather and the other part doing design work and homework. Oops? I don't feel bad about it at all. Here's a vacay pic to make up for it. Yay. 3. I seriously just got distracted for a good 10 minutes because I started peeling off my arm skin. Gross. Cool. Oops? 4. I like shoot 'em up video games. 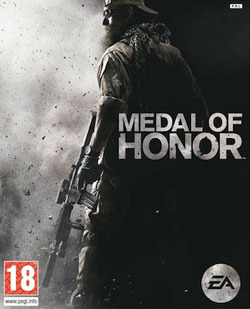 Has anyone here played Medal of Honor? Oh, and I'm only good at the PC first person shooter games. Don't ask me to play on xbox because 1. Our xbox is in the USofA right now and 2. I cannot for the life of me figure out how to use those stupid controllers! 5. I just found a spider on the wall RIGHT BY MY HEADBOARD. OMG WHAT THE EFF!!!! This is the 2nd one today... did they all move in while we were on vacation?? Okay, since that's a lame confession, I will tell you that I have a bug phobia. Like, I will cry if a grasshopper, beetle, locust, spider, etc. even touches me, it's that bad. 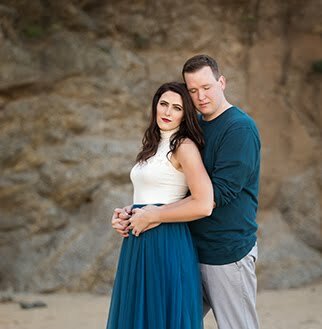 PS: Do you guys follow Deanna's blog? She's giving one of her readers a Kindle touch! I'm totally the same way with the peeling skin! Yuck on the spider!! 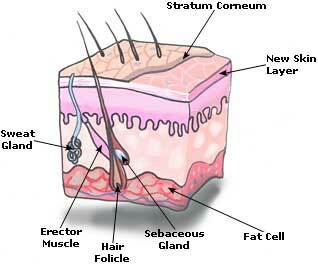 Hate to admit it but I am a skin peeler too;) Happy Sunday. I haven't been sunburned in many years, but I also enjoy the peeling. And that spider freaks me out! We were killing so many spiders in our apartment it was ridiculous. When I found one right near Quinn's crib while I was laying her down for a nap it was time to call the apartment manager. Now I'm getting itchy thinking about it. I'm a little bit disgusted by the skin peeling, but let's be real--everyone does it. I would have freaked out to see a spider by my head!! ICK on your NEW friend :P :P I so dislike spiders lmao .. esp. the headboard lingering kind! hahahah! Good for you ... for getting out and living! AND Read my #2 :P :P No regrets! The skin peeling thing isn't weird (at least to me). It's kind of cool! I love that sunset picture! NOOOOOOOOOOOOOOOO more spiders. Gross. I had a dream I squished a big fat one last night?! Again, gross. I am HORRIBLE at working Xbox. I can't really explain how horrible at it I am. You just have to trust me. When I babysit sometimes, I always end up calling them on their date and getting step by step instructions to start the kids' movie on the Xbox player. While they go crazy waiting. Sheesh. Ummm...I peel too. Like. I love it. Okay I may have just FREAKED OUT from that spider. EEP! I wish I had a freaking sunburn to peel! Sorry I couldn't join y'all today!! Your sunburn peeling is grossing me out! My husband loves doing it too and whenever he starts, I have to leave the room. It's like he's molting! Gross. peeling skin is one of my favorite things! i try and peel as big of a chunk as i can without it ripping... good stuff! Today it's Edinburgh.... And Hogwarts? Castles. Cloudiness. Poop. And Love. 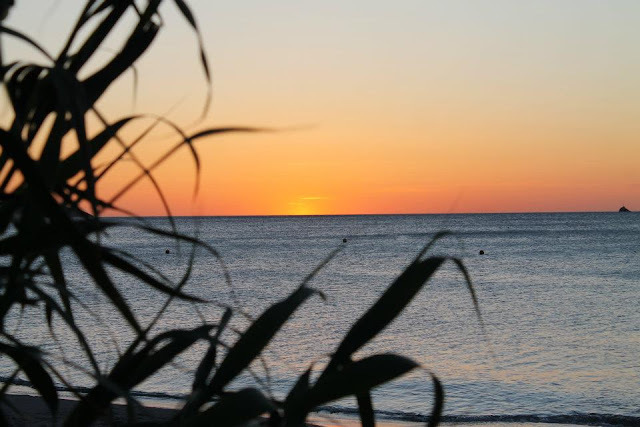 WIWW in Ibiza and a Giveaway!! No Sunday Confessions - Just Easter.